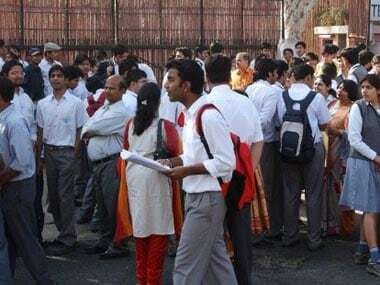 TN board exam results 2019 declared | The Tamil Nadu Board has declared the Class 12 HSC results today (19 April) at 9.30 am and the Class 10 SSLC results on 29 April. Candidates who appeared for the SSLC and HSC board exams can check their scores on the official website — tnresults.nic.in. Students can also checked their results on examresults.net. The Tamil Nadu School Education Department has announced that an instant exam will be conducted for candidates who fail to obtain the minimum pass percentage. This exam will be held between 3 and 10 June. According to The Times of India, the Tamil Nadu board also announced that the annual exam results of classes 6, 7, 8 and 9 will be declared on 2 May.